Compensation planning is more than giving pay cheques or using multiple benefits to attract, hire, engage and retain top talent. Measuring employees’ performance with respect to organizational goals gives a fair basis to distribute compensation. 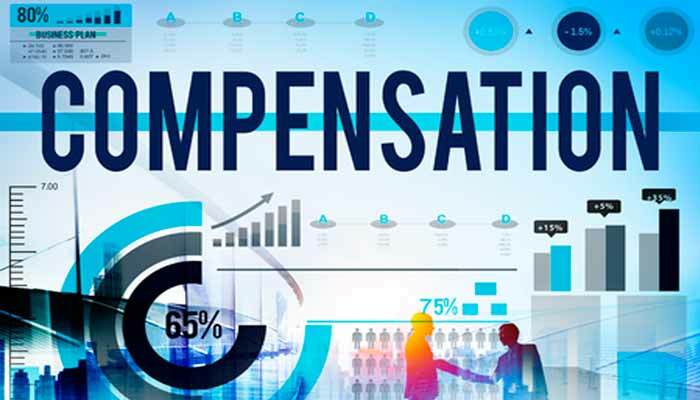 Whether we blame lack of technology, economic issues or any other business factors, compensation management remains to be a major human resource challenge for all organizations. Top performers need to be rewarded fairly (and continuously) to maintain their work momentum. HR and managers often find it difficult to make the right compensation decisions by integrating employee performance with salary increments. Compensation management can be made simpler with a well-thought-out compensation strategy. The compensation strategy should clearly define an employer’s approach to manage employee pay, benefits and other perks. Creating a well-planned compensation strategy and implementing it successfully is not an easy job. An effective compensation plan helps to attract top talent and retain existing top performers. Unfortunately, managers and HR face few challenges that make compensation management ineffective. It is challenging for HR managers to estimate and allocate compensation budget. Deciding total budget to be spent on salary, benefits and other incentives is a time-consuming and complex process. For instance, a compensation budget of $4.5 million may be used up as 60% for salary, 25% for variable compensation and remaining 15% for benefits. Further, this 15% of the budget is divided into health benefits, retirement savings and tuition reimbursement as 9%, 4% and 2% respectively. Allocating budget breakup wisely enables leadership to control health care, insurance and other benefit costs. Calculating and deciding salary increment for each team member is a big challenge for managers. Before deciding salary increments, it is necessary to know details including compensation history and appraisal ratings, total budgets and the percentage to be spent on employee increments. Online Compensation Management Is a Saviour! Employee compensation costs are as much as 50% of the total costs incurred by companies – hence it is a big investment for employers. Managing compensation and salary increments effectively is not as easy as it sounds. Company budgets can be affected in absence of a systematic process and tool. An ideal cloud-based compensation management software, like Empxtrack, streamlines and automates the complete compensation process to engage, encourage and retain top performers. It gives a well-structured compensation planning workflow and defines multiple compensation strategies & guidelines to allocate salary, increments and other benefits to different grade of employees. There are many reasons to choose an integrated, configurable cloud-based compensation planning software. Some of those are listed below. » Enable compensation planners (or HR) to define maximum and minimum increment percentage considering multiple grades, levels, experience, profiles and other details of employees. » Integrate compensation planning tool with employee appraisal and multi-rater feedback to help managers in making well-informed compensation decisions. » Allow administrator to override increments for managing and controlling salary expenses effectively. » Generate increment letters for all employees. » Integrate with payroll application to synchronize increment data with it. » Automates and streamlines compensation cycle by real-time visibility to view progress of the workflow and its impact. Irrespective of the industry and size of an organization, compensation structures and compensation management have become the most significant challenge for HR practitioners. Competitive compensation encourages retention of top talent which results in achieving organizational effectiveness and company goals. To gain deeper insights, feel free to try an integrated compensation management software.